A post-Power darting landscape is one which will be dominated by Michael van Gerwen, according to bookmakers, but can the man who has yet to successfully defend his World Grand Prix crown get it right at the third try at the Citywest Hotel? Van Gerwen’s two previous appearances as Grand Prix champ have ended in failure so there’s definitely some pressure on the number one seed and 5-6 favourite to retain the crown he secured for a third time last October. The absence of Phil Taylor, who has beaten Van Gerwen in six of their last eight meetings including a stunning quarter-final hiding at the World Matchplay in July, will help the Dutchman’s cause. Taylor, who won the inaugural Grand Prix in 1998 and triumphed 11 times in total, has decided to skip this year’s event. Given that Taylor remains world class and is still winning massive events, that will delight Van Gerwen and every other member of the 32-man field. Van Gerwen will take all the beating, but he looked out of sorts at the Champions League two weeks ago, might well be distracted by becoming a new dad and can be opposed in an event as quirky as this, where players have to double in as well as double out. 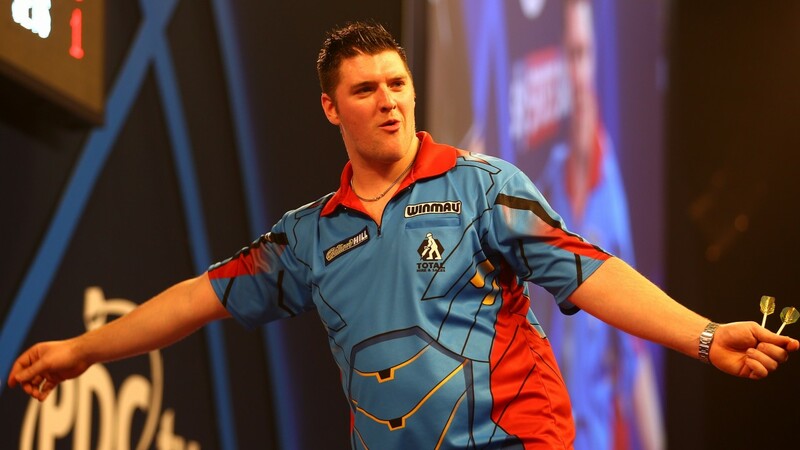 A couple of the season’s big improvers, Daryl Gurney and Mensur Suljovic, could go deep into the tournament. Gurney has had a phenomenal year, rising to 12th in the world. A quarter-final place at Alexandra Palace kick-started a special 2017 in which Superchin has reached five finals and made breakthroughs in the TV tournaments, with semi-final places at the Coral UK Open and World Matchplay the highlights. Suljovic has gone one better than the Northern Irishman and won a TV event, the Champions League in Cardiff two weeks ago, in which he twice beat Gary Anderson and also got the better of Peter Wright and Raymond van Barneveld. He had already reached a couple of ranking finals – the Gibraltar Open and European Matchplay – and has soared to number seven in the order of merit. This format is made for the clinical finisher. Since Cardiff, Wright has won his tenth title of the year, the International Darts Open, but his record at the Grand Prix is woeful - just one match win in five visits. Wright is third favourite behind Van Gerwen and Anderson, who has never taken to this tournament (it involves too much doubling for a player who can still have issues on the outer ring) and it’s 25-1 bar the front three, which definitely means there’s some value around in an event where there are always loads of upsets. James Wade at 50-1 is worth a second glance. His scoring power is not as strong as some, but that’s less of an issue in this event and there are few more clinical finishers (and, therefore, starters) than the left-hander. That’s why he has won it twice, but he has been off-colour this year. Barney at 10-1 to win his quarter is also a massive price. He’ll probably have to beat Van Gerwen to do it but he did that in Cardiff when they last played and the five-time world champion can raise his game when needed.